Expects lower revenue and profit for 3Q18 compared to 3Q17, vs previous guidance of higher revenue and similar profit. Revised guidance mainly due to project delays, lower manufacturing yields. To book in about S$7.4m in FY18 from partial sale of subsidiary. 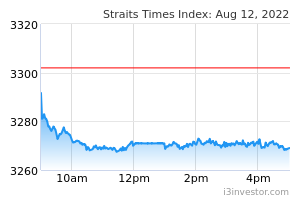 Maintain BUY call and Target Price of S$1.30; current valuations attractive. Hi-P lowers guidance for 3Q18 results. Hi-P International (Hi-P) is now expecting lower revenue and profit for 3Q18 compared to 3Q17. It previously guided for higher revenue but similar profit in 3Q18, compared to 3Q17 when it reported net earnings of S$38.4m (+154% q-o-q) on revenue of S$411m (+47.2% q-o-q). The main reason behind the revised guidance is a major tooling sales delay. This will likely be recognised in 4Q18. There were also delays coupled with low manufacturing yield (new project, encountered some operational issues during initial ramp up stage) in the production of accessories for a major multinational company (MNC) customer’s new phone launch, and also lower market demand for certain products. Sale of 60% stake in subsidiary Hi-Flex SZ to Electric Connector Technology (ECT). 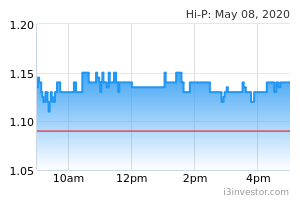 Separately, Hi-P is proposing to sell a 60% stake in wholly- owned subsidiary Hi-Flex SZ to Electric Connector Technology (ECT), listed on the ChiNext of the Shenzhen Stock Exchange. Hi-Flex SZ is mainly in the production and sales of flexible printed circuit boards (PCB) and provision of related technological and after-sales services. The PCB business has not been profitable in the past years, primarily due to a lack of orders. The proposed sale is expected to be beneficial to Hi-P as ECT is a reputable electronics manufacturer with a strong record in the connector manufacturing business, which is synergistic to the PCB business. The new joint venture partner can also provide new business direction and strategy for Hi-Flex SZ. The proposed investment will result in a capital injection of RMB112.5m into Hi-Flex SZ. The additional capital can be utilised for any future capital expenditure to upgrade existing machinery and equipment of the PCB business and other general working capital purposes. Hi-P expects to recognise an after-tax gain of approximately S$7.4m in FY2018 upon completion of the deal. We maintain our net earnings forecast of S$86.5m for FY18 as the delayed contracts are expected to be recognised in 4Q18. We have already assumed a lower gross margin of 13.1% for FY18, compared to 16.3% in FY17, and net margin of 5.8% vs 8.5% in FY17. We will review FY19 numbers after the release of the 3Q results, when we have more clarity on impact from the trade tariffs. Maintain BUY call and Target Price of S$1.30. Current valuations of 8.5x and 8.4x for FY18F and FY19F respectively are attractive vs peers’ 15x and 12x. From a long term prospective, Hi-P is also trading below its historical average on a forward PE and P/BV basis.